Target number one: Superdrug. I sped-shopped through here. It was done under pressurised circumstances where your husband and Dad are waiting outside. This requires focus and to GTFO as soon as possible. These three colours from Barry M have been on my hit list after reading your recommendations. Huckleberry (an incredible dupe for Essie's Borrowed and Blue), Coconut and Almond are my newest favourite colours. If I had to single out one shade for special treatment it would Coconut. It's that perfect soft white that I have been looking for. I admired it on my nails all the way back to Dubai. 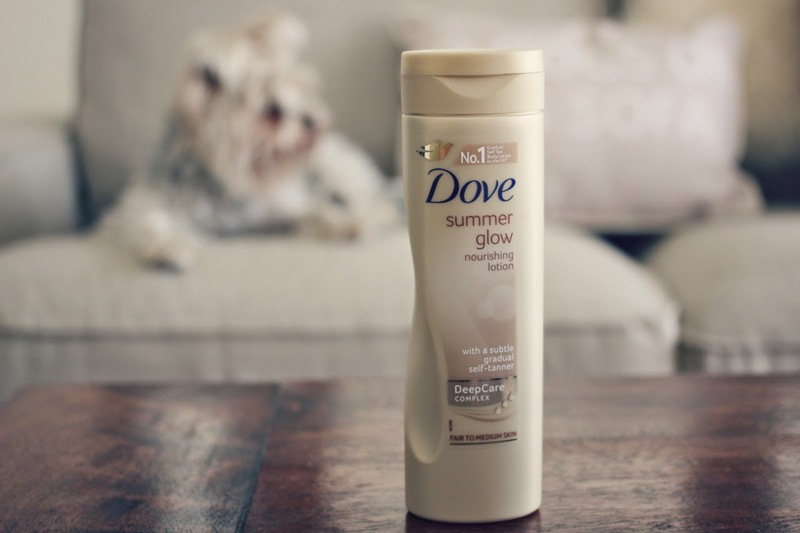 Now the tanner, well gradual tanner - Dove Summer Glow. I have been informed that this is possible to get in Dubai (Lulu's supermarket) but seeing as it was right in front of me and half price I decided to pick up two bottles of the stuff. I like the concept of gradual tanner - a product that does just enough to take the edge of super pale office tans. I did also get another tube of the Collection Lasting Perfection Concealer in my frenzied spree but that stuff is not blogworthy - it's just a life essential. Completely agree about the Collection concealer being a life essential - it is just so darn good! Nice products. 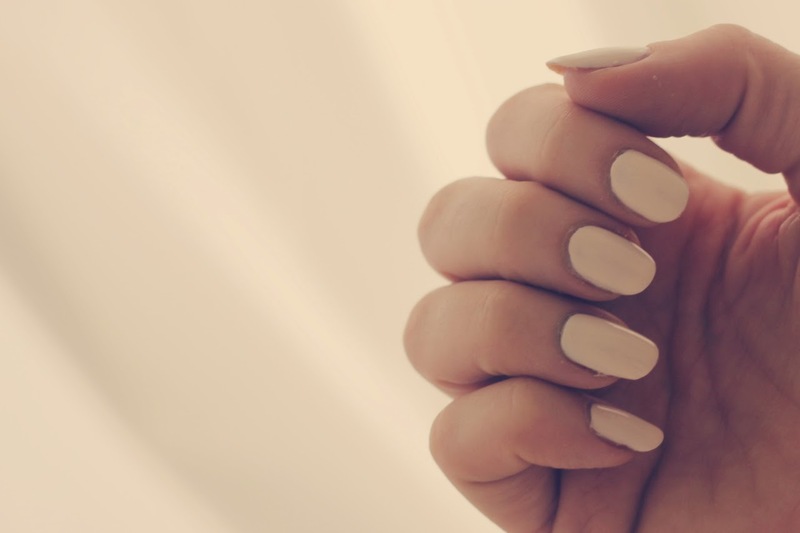 I love those nail polishes. The lipstick shade looks amazing... I have vengeful red (amazing name), and they're very nice! I love that tea cup and your writing! And the polishes ain't half bad. Shame, no duty free Chanel this time :)? I really want to try that Dove gradual tanner! love the colour of that nail vanish!! I need those three barry m's, why haven't I picked them up yet! I love the Dove Summer Glow but I always get a bit carried away with it in summer and the new Barry M colour range is great too, I'm currently using Rosehip on my toes and it's such a gorgeous colour. Barry M have incredible ranges, and price! The quality is great, too! Have yet to try the three you bought but my favourite would seem to be the Almond shade! I really want to get a barry m nail polish but sadly I can't find any here :( Love the colors and that lipstick looks amazing! I love the polishes you've picked, such gorgeous colours! TAKE ME T DUBAI! miss that place! although it will be sweltering temps! Get ready for steamed up sunglasses and frizzy hair! I think I'm just going to have to bite the bullet and pay Barry M's massive shipping fees to the States. I have wanted to try Barry M for so long and coconut is about to toss me over the edge! I think I need that nail polish but I'm a little worried I'm too pale! Love the nail shades, I've never tried Barry M, whats the longevity like on the nail - does it chip? 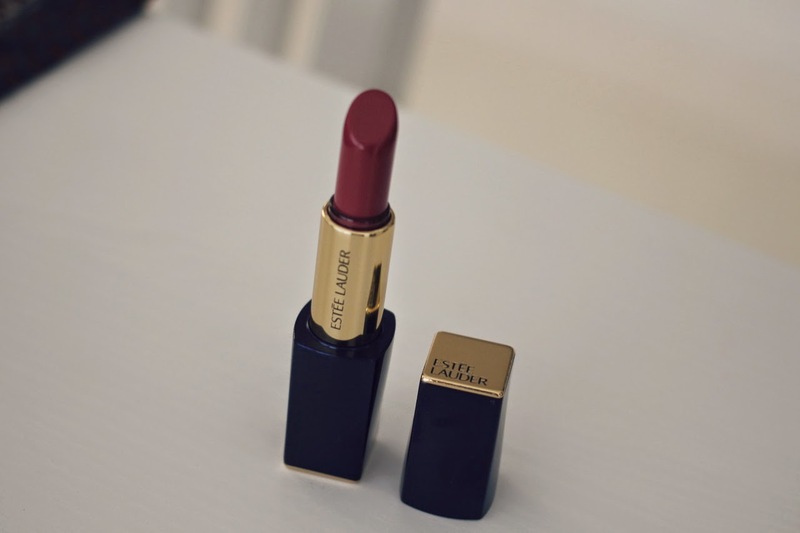 the nails look fab and so does that Estee Lauder lippie! 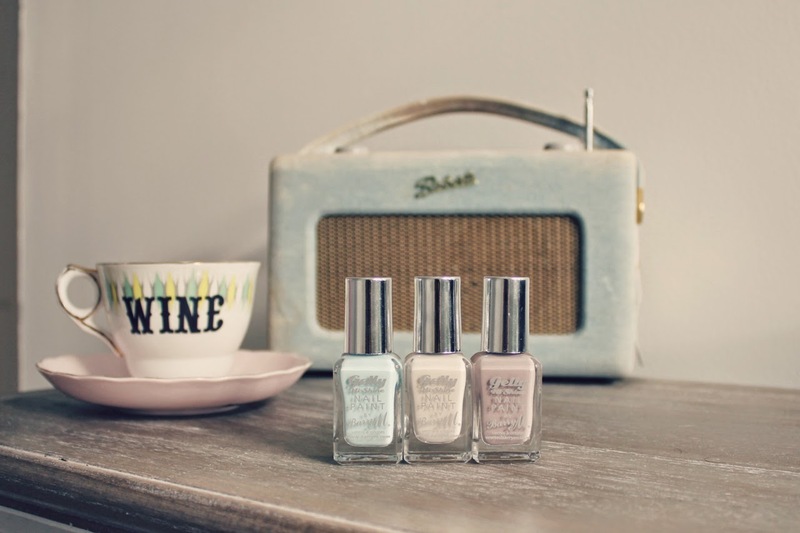 Those nail polishes are stunning! Barry M nail polishes are at the top of my shopping list for when I visit the UK one day. totally know what you mean about the whole GTFO shopping under pressure thing, I travelled Europe with my fiancé and his brother. So many Sephora trips under pressure, always harder when you don't speak their language! I love the polish colours you picked I think i'm in love with the almond, mainly because you can get yourself through any season with it, especially teamed with the coconut. Laura I might just faint if you move back to the UK! I love the Barry M Gellys, will have to check out those shades next time! Love your Superdrug hauls! If only we had that Collection concealer here in the US. :( I always hear raves about it. I know it was just to decorate this post but those radios are EVERYWHERE! Everytime I see one it makes me want it more! love the colour of the nail varnishes together, so nice! the gelly nail varnishes by BarryM are so much better than their normal range! I want to try those nail polishes! I just fell completely in love with the Berry M nail polishes!! I love all those colors and i would pair them with a matte finish..